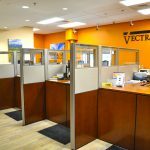 Vectra Bank, located in Centennial Colorado, is a two-story regional office and customer banking facility located on a 1.5-acre site. The bank was constructed on a deep pier and crawl space foundation designed to address expansive soil conditions. 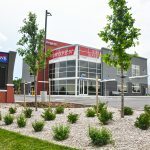 The first floor is comprised of customer service, offices and meeting spaces, and drive-through teller services. 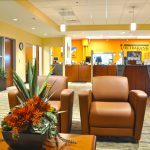 The second floor is primarily dedicated to office space. 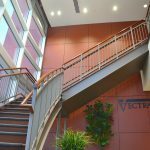 Unique features included rain screen cladding, curtainwall systems, and metal panel systems. 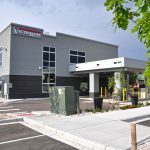 Howell Construction has also been awarded Vectra Bank’s new bank project located in Wheat Ridge.